In an instant your world can change. Three words and suddenly it all goes dark. Those words flew through my mind piercing my heart instantly like darts hitting a board. 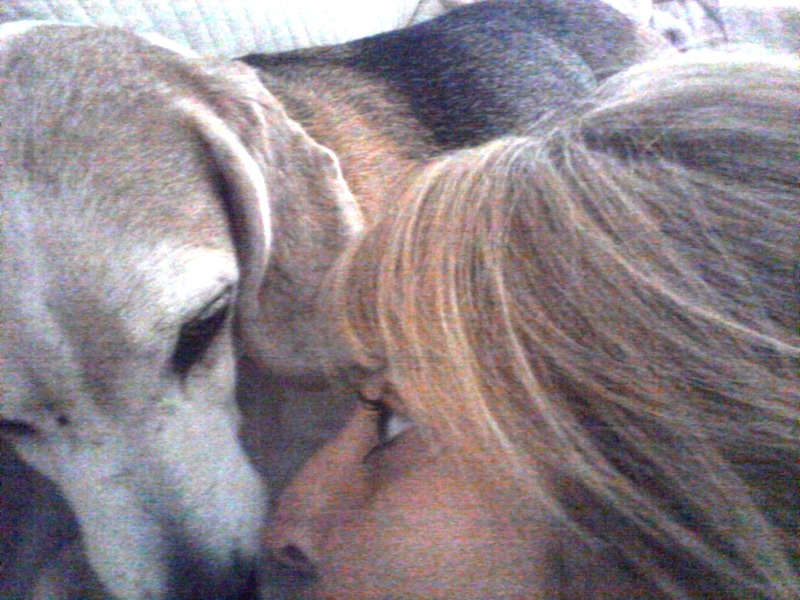 My baby girl Skylar, she’s an 11 year older beagle had been struggling with an awful cough that had worsened. The veterinarian’s words reverberated loudly as I struggled to grab onto a shred of hope. Ultra sound. We needed an ultra sound to determine if the cancer had metastasized. Lung cancer affects only 1% of dogs. My baby. We returned the next day to have the ultra sound with hope that it was confined in her one lung. I planned to drop her off for just the amount of time it took to have the test done wanting her to stay there for as little time as possible. 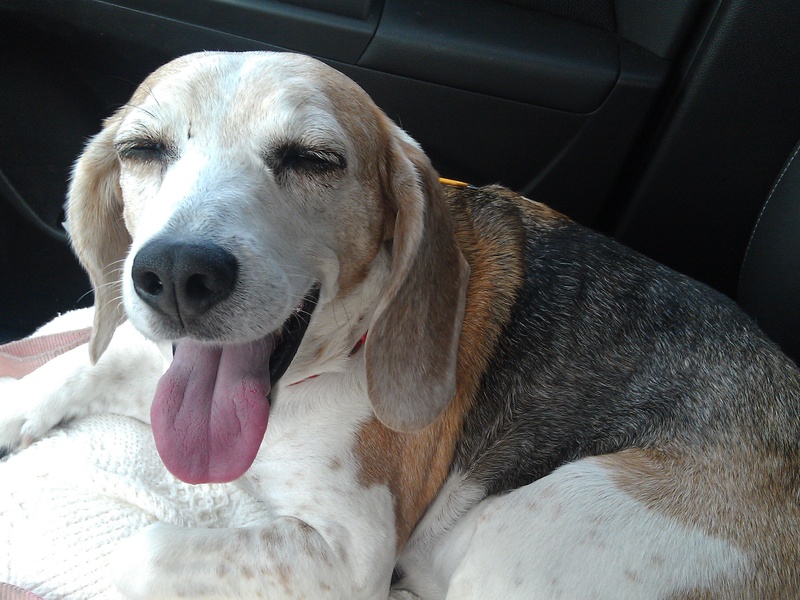 I walked out of the vet’s office leaving her behind praying hard as tears flowed down m face. To stay close I decided to crash a pool at the apartment complex down the street. Lying there my mind raced here and there and back again. I tried reading to get my mind focused elsewhere but something kept tickling my foot. I kept kicking my leg to shoo it away. So I sat up to get a look around. I felt that tickle again. It looked like a baby monarch on my foot. The little butterfly was not phased one bit by my continued kicking. It was persistent. I accepted the tickle and we began to talk. I explained just what was going on and that my baby was having an ultra sound. I told the butterfly I had prayed and I prayed hard. I talked how I was really trusting God to work this out. I told the butterfly that I’d give anything if we could just have a miracle. I’ll be back little butterfly. And when I return I’ll update you on our miracle and we will dance and sing in the pool. Then my phone rang and the butterfly flew away, the vet was calling with results. It seemed the cancer was contained to her left lung lobe. This was the best possible news. A blanket of peace had fallen over me during my talk with that butterfly. I was grateful for that and I was so grateful for the results. Whether you want to call it a diversion, an escape, or a God moment, it was just what I needed. Now I’m faced with making a decision. Do I go into debt with an oncologist and have her lung removed to hopefully sustain her life for one to three years? Or do I care for her, keep her comfortable, and cherish every day God gives me with her seeing her through to the end no matter her state? I can’t wrap my mind around the puppy she was just a week ago, knowing we won’t return there. Things are different now. She is sick and I am heartbroken. As I write these words it’s hard to fight back the tears. These moments of sorrow overtake me as I wrestle with the options and our new reality. I can’t focus. I can’t sit still. I can’t accept. I can’t decide. Either choice feels like a lose-lose proposition. I know there will be joy filled moments and it’s certainly my nature to look for those. But right now it feels like our joy is gone. All I can do is pray. Hope. And love her. And wait for the answer while keeping my eye out for the butterfly. Have you been in a similar situation? I welcome your thoughts. My prayers go out to you and your sweet girl. Our capacity to love our animals is amazing…it’s a bond like no other. They are extensions of us and when they hurt, we hurt. But when they are happy, we are happy! And she finds joy in you! Continue looking for signs like the butterfly to bring your peace and joy back. Time is precious. He will not give you anything you cannot handle; He will see you both thru this! Thank you Caitlyn. I miss you!! You are so right. It is an incredible bond that I’m so blessed to have with Skylar. I hope you’re going great! Thank you for reading my post! !